I am the great great granddaughter of Fireman Henry Miliken, late of HMS Viknor. Below is the only photo we seem to be able to find of him. He was survived by his wife and six children. My great, grandfather was William Pattison from Jarrow. He went down on the HMS Viknor in 1915. His daughter Edith was three years old when he was lost at sea. She was my paternal grandmother. Any information or photos you, or anyone, could share would be greatly appreciated. First of all, excuse me for my bad English. I am French and my father was a British soldier who came to France on D-Day. He was the son of George Henry Towle (PO/11752 - RMB / B / 1310) who died in the sinking of the HMS Viknor. I only learned about it recently because my dad spoke little about it and your amazing website helped me a lot - thank you very much. 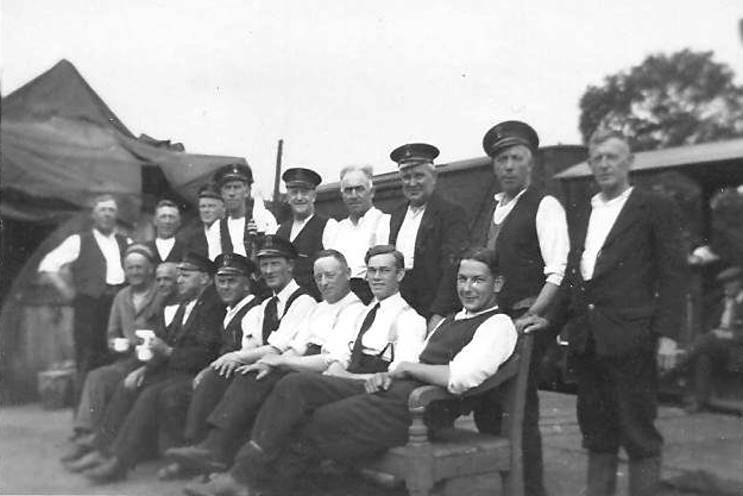 Is it possible that there is a photo of the crew of the Viknor. My Father and I were researching his Grandfathers and my Great Grandfather's history and discovered through the Maritime Quest site, a posting from a Raymond Towle (Jan 2018). He referred to his father George Henry Towle. George Henry Towle was my Great Grandfather and my Fathers Grandfather!!!! He too perished aboard HMS Viknor. So from the facts we have, it seems my Father and I are related to Raymond Towle! If it's possible for Raymond to make contact, can you forward on this email to him please? My Father's name is James Charles Sneddon Towle and his Father's name was Charles Towle. First of all, excuse me for my English mistakes. I believe that we are of the same family and it is very disturbing for me. I believe that your grandfather Charles and my father Henry were brothers and both the sons of Georges Henry Towle died during the sinking of the Viknor. Your father and I are two cousins. My children and you are therefore also cousins. I found some documents about the history of our family and I collect them and send them to you soon. I have been in my youth sometimes by Portsmouth, and with my wife we've gone sometimes to visit because I know that a large part of my British family has lived there. Is your father or grandfather lived in this city? I really hope that this information is true and my children will be crazy for having found their English family. I have two sons (Jefferson -41 yrs. old) et Benjamin (38 yrs. old) and one daughter Capucine (35 yrs. old) and 6 little sons (Noah, Liam, Nathan,Tom, Axel, Theo.) What a special day for me!!! I hope you will answer to this mail and many thank's to Michael!! I have just come across your website regarding HMS Viknor. My grandmother's brother, AB Alfred George Earney SS/352 (RFR/PO/B/3006) R.N. was drowned in the loss of this vessel. I have some of photos, but I am not sure if they are of Alfred, are there any photos of the crew? I was sent 2 medals which where in the possession of his son Victor Earney recently which I was pleased to receive. I intend to go to Portsmouth shortly where there is a memorial to all who were lost. I have only just started to research my Family Tree and recently found this information. Alfred G. Earney seen in uniform. 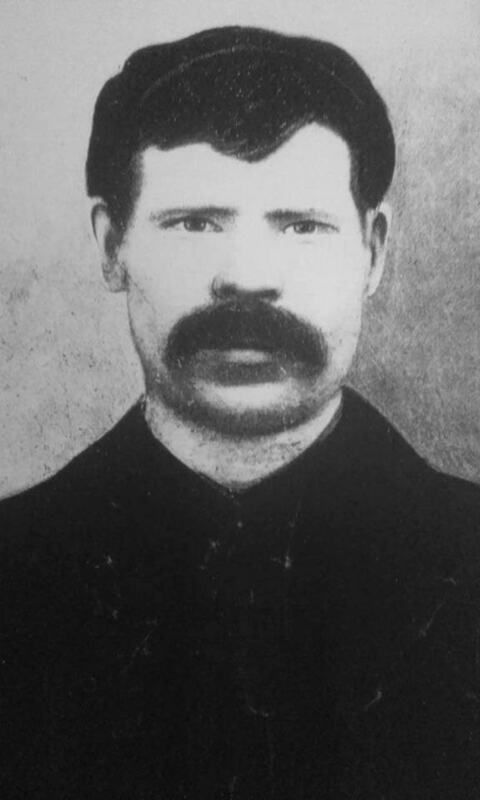 My great grandfather, Joseph Smith, born 1869 Liverpool, was a fireman on the lost ship Viknor. do you have any information photos etc on him? It was a family mystery where he died only knowing his body was never recovered. I hope you can help. My grandfather William Charles Michael Johnson was killed on board H.M.S. Viknor 13 January 1915. My question is can you tell me was his body recovered and if so where is he buried. Is it also possible to tell me what rank my grandfather held. We understood he was a Lieutenant Commander. I have been reading your web sight and am thrilled to be able to have this connection and look forward to hearing from you. His rank was (Temp.) Lieutenant and his body was not recovered. His name is shown on the Roll of Honour and his service record is available at the National Archives at Kew. I am trying to locate the burial site (if there is one) of Lt. Commander Hardinge Lilford Shephard of the Viiknor. He is commemorated in St. Osmund's Church, Osmington, Weymouth, Dorset. Sadly his body was not recovered. Many years ago I bought a car and in the boot (sorry, trunk) I found a WWI Dead Man's Penny that was sent by the HM Govt. of the day to the surviving family of Christopher John Mason. It weighs 316g or 11 1/8, is 1/8 inch thick at rim and 4 3/4 inches in diameter. If this is indeed the long lost relative of the signatory of Message #8 then I'd be honoured to give the medal back to the rightful owners. I'd need to be sure there's no mistake of course. 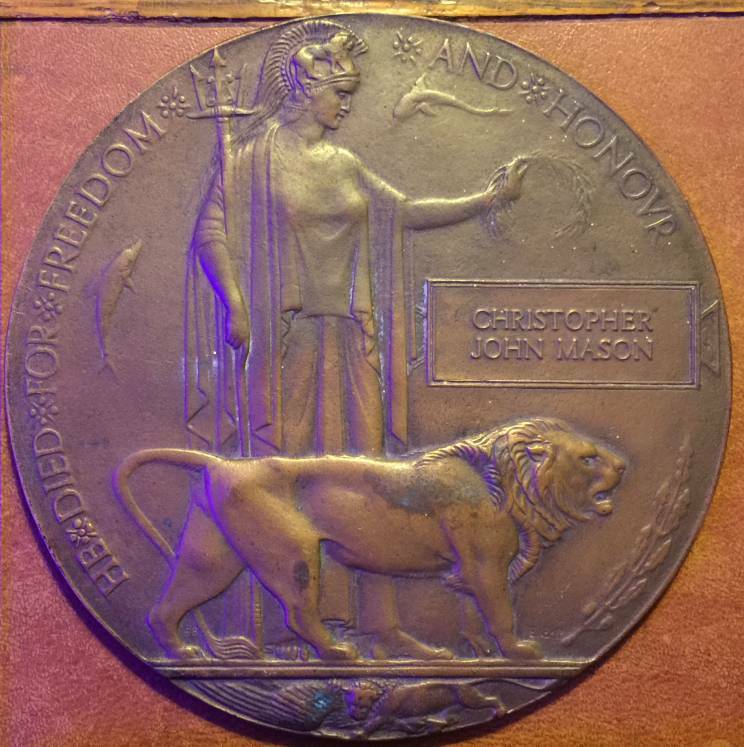 I don't know how many Christopher John Mason's there were during WWI. What can you suggest? I did try and find info on the name many years ago, but could not come up with any links to the living. I decided to try again as WWI is in everyone's thoughts at the moment. I am also amazed to realise that HMS Viknor sank 100 years tomorrow! I'm writing this to let you know that with your help I finally managed to get in touch with Sharon Sergi. The Dead Man's Penny is now reunited with family members and I think you'll join me in celebrating its return to its rightful place. Sharon is in the States so I sent the penny to her mum in South London, UK. Sharon will visit her mum in summer and will send a pic of them with the penny to me. I can forward you a copy if you like. It might make a nice footnote to the story on you website that originally started Sharon's search back in 2012. According to available records there was only one Christopher John Mason who was lost in the Great War. He is indeed the 17 year old Boy 1st Class lost in HMS Viknor. I have forwarded your email to Sharon. The Dead Man's Penny given to the family of Boy 1st Class Christopher John Mason, late of HMS Viknor. My great grandad was James Adam who died on HMS Viknor. My grandad would of loved to of found out more information regarding this matter as he died when he was a baby, my dad has a photo of him and newspapers form back in the day and I'm sure would be interested in any more information or people who share anything with this ship. 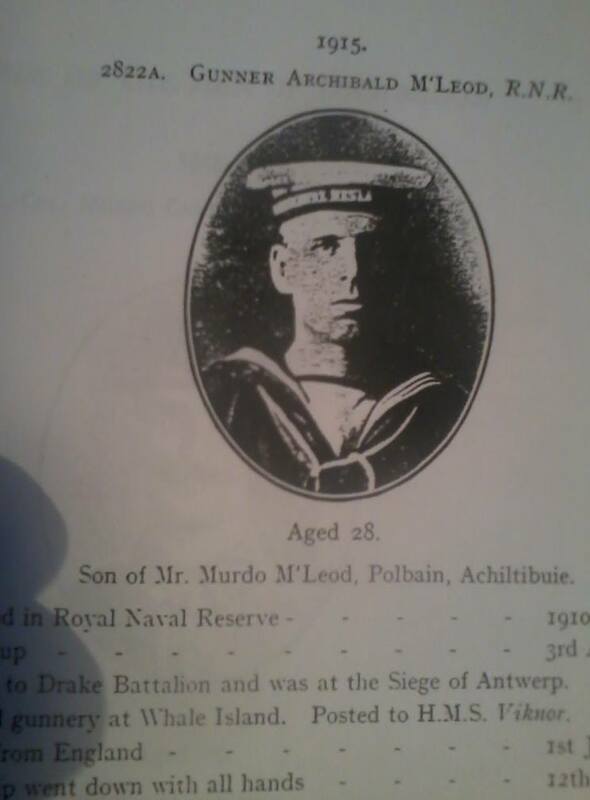 I have enclosed a photo of my great uncle Archibald MacLeod who was lost on HMS Viknor he had four brothers serving in the trenches two were badly wounded but all made it home. I served in the RN myself and saw active service in the Falklands on HMS Broadsword under Captain Bill Canning. I heard stories of my uncle Archie as a boy and found your site looking for info on the Viknor. My Great Grandfather, C/Sgt Harry Wildes, was lost on the Viknor. 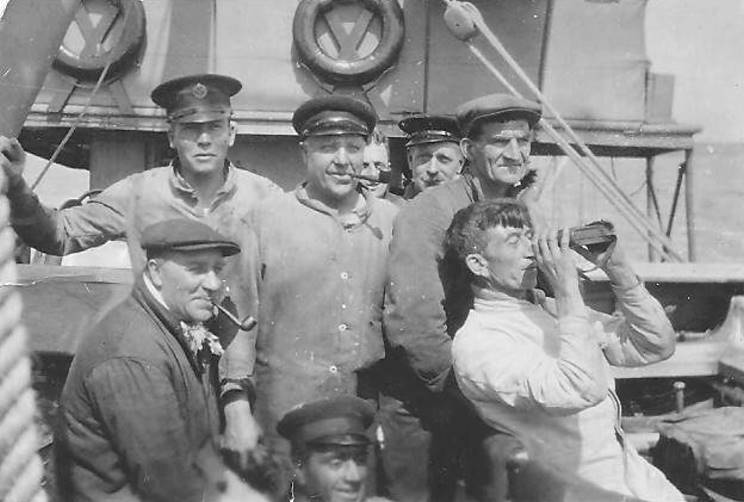 We have the two pictures below that may be of the ship/crew. I have tried to match the superstructure elements in the one of the ship, but I think I need a schematic. However, it seems most likely (based on how these images came to me) that they are from the Viknor. I just looked through your photos relating to HMS Viknor. I must say it sent shivers down my spine and looking at the graves stones made me cry. I have just started researching my family for my mum and discovered her uncle (my great uncle) Christopher J. Mason died on this ship aged 17. If anyone comes across any additional info please contact me. I just found your great site and am looking to trace anything about my grandfather Donald C. MacKay lost from the Viknor, who is listed on your pages. Have visited N. Ireland and cannot find a gravestone with his name on, have found his name on the monument at Plymouth and wonder if he may have been granted any medals, but can't seem to find out. Any pointers in the right direction would be much appreciated. I am submitting photographs of the war graves of two of HMS Viknor's crew, W. G. Scott and E. R. Hewett. William George Scott was my great uncle who was a married man of nearly 34 years and who had a wife, son and daughter. He is buried in the tiny and ancient cemetery of Tarbert on the Isle of Jura. Next to his grave is that of a WWII unknown sailor. The second is that of Earnest Roye Hewett whose grave is in the cemetery of the little church at Ballintoy, County Antrim. He was 17 years old and was the third son of Ada and Alfred Hewett whose eldest son Ralph was killed in France a month before Earnest drowned and whose second son died of disease in Salonika, Greece 18 months after Earnest drowned, he is buried in the military cemetery at Mikra. We came across Earnest Hewett's grave by accident while visiting Northern Ireland. Close to his grave is that of sailors who went down on with HMS Racoon on 18th January 1918. She hit rocks in a snowstorm and heavy seas. The grave of William G. Scott, late of HMS Viknor. The grave of Earnest R. Hewett, late of HMS Viknor. I have recently started tracing my family tree. I have discovered that my Great Grandfather was Thomas James Sutton who is listed as “missing presumed killed” on HMS Viknor. At the time the ship went down, his wife Alice Sutton was pregnant with my Grandmother, Eileen. My Grandmother was born in May 1914. My Grandmother is still alive and will be 97 this year. I would dearly love to find out more information so that I can tell her more about her father. Thomas James Sutton and HMS Viknor. I would especially like to know if his body was washed ashore and identified and if there is a final resting place for him. I would just like to say that I love your site. Its very interesting. Alice Beatrice Sutton, married to Thomas Sutton who died when the Viknor was sunk, was my Great Aunt. I understand he was one of the ones whose body was never found. We have recently sailed our yacht in Scottish waters and I noticed two war gravestones there, one is for Alfred Fisher, Engine room Artificer. I'm attaching a photo of the grave. On returning home I looked up the ship name on the internet and read of the vessel and its loss off Tory Island a place we also sailed to two years ago. 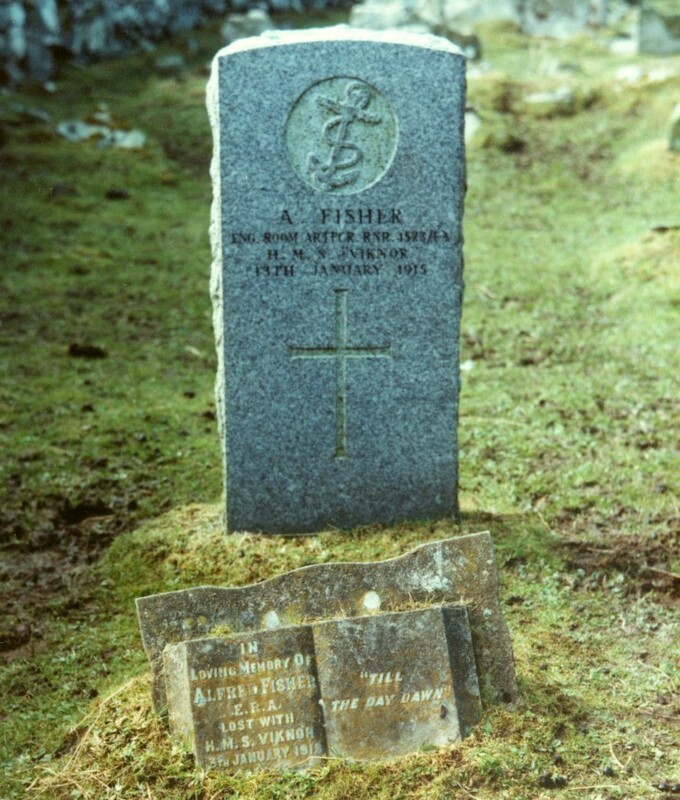 The grave of Alfred Fisher, late of HMS Viknor. 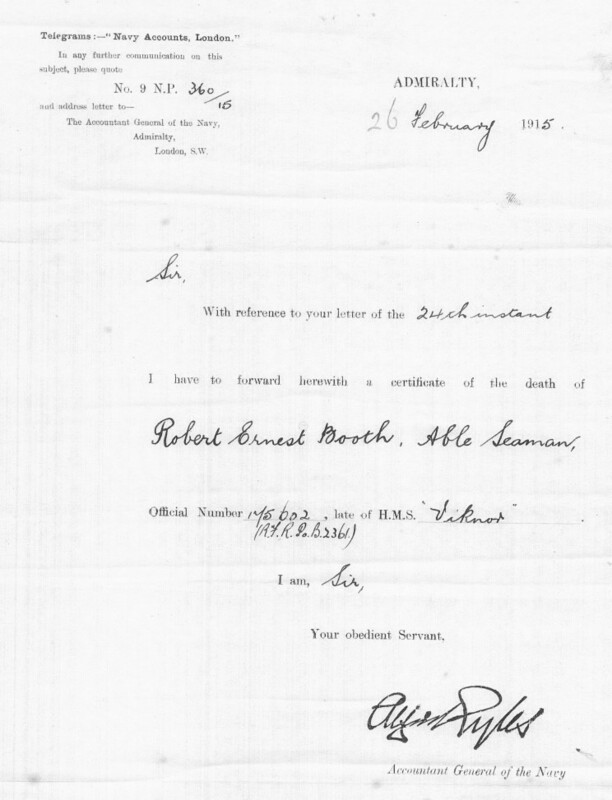 We have recently found some family records which have a letter (see below) from the Admiralty confirming the death of Robert Ernest Booth late of H.M.S. Viknor official number 175602, this letter being received by my wife's Grandfather, the letter dated 26th February 1915. There is also a photograph of Robert Booth, if any of this data is useful to you we will post photocopies if you so wish. The website is very comprehensive and extremely interesting. I have recently started tracing the family history of my maternal Grandfather Thomas William Fisher. 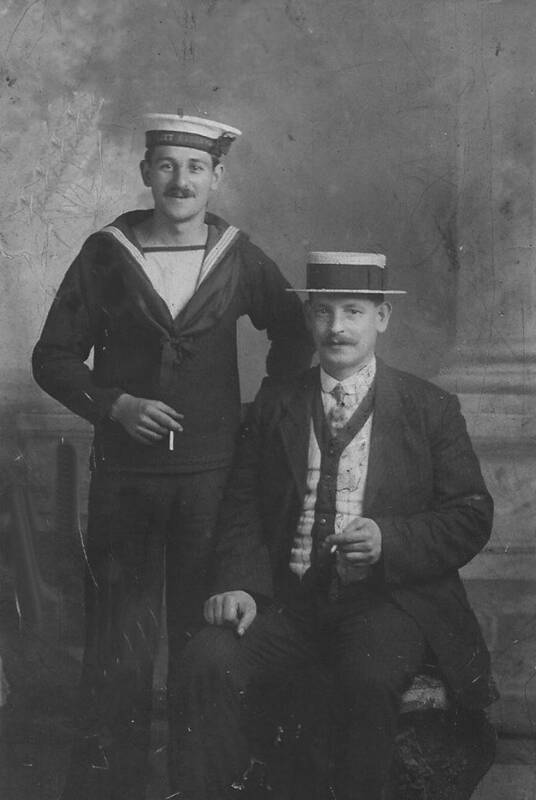 His brother, Alfred Fisher was in the RNVR during WW1 and was lost with HMS Viknor. I have just read Dr. John Fisher's message dated Sept 11, 2007 re this vessel. My Mother, now deceased, would have been Dr Fisher's first cousin. I have in my possession a postcard sent to my Aunt, (my Mother's eldest sister) from Alfred Fisher in 1909. As I had no knowledge of Dr. Fisher's existence, I would dearly like to get in touch with him. Please could you forward this e-mail to him. My grandfather, Alfred Fisher, was one of the RNVR officers killed on HMS Viknor. His body was washed ashore on the Scottish island of Oransay, where there is a RN grave. His body was identified by a signet ring, which I still wear. Myself and my son visited the grave in 1983. World War 1 casualty medal.